Cimic Group company CPB Contractors, part of the Rail Infrastructure Alliance (RIA), has been named the preferred proponent to deliver a $1 billion package of works for the $11 billion Metro Tunnel Project. This fourth major works package for the Metro Tunnel Project covers the existing Sunbury rail line between the western tunnel entrance in Kensington and Tottenham, and the Dandenong rail line between the eastern tunnel entrance in South Yarra and Caulfield Station. 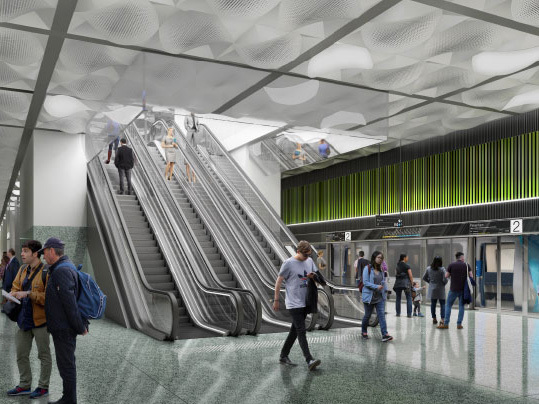 Major works for the Alliance include the design and construction of entrance structures that will interface with Metro Tunnel works at South Yarra and Kensington. “It is our privilege to be delivering these significant works to support this city-shaping public transport initiative,” says Cimic Group CEO Michael Wright. “Our engineering and technical teams [are] already working to complete a number of the State’s major projects and will seamlessly transition to the Metro Tunnel, bringing their local knowledge and international experience to ensure all client and community expectations are realised,” adds CPB Contractors MD Juan Santamaria.